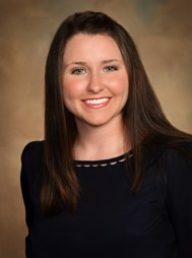 Bethany W. Carnes, MD joined our Murfreesboro clinic in August 2015. Dr. Carnes obtained her undergraduate degree in Biology from Centre College in Kentucky. She received her Medical School degree at the University of Louisville and completed her Pediatric Residency at Kosair Children’s Hospital in Louisville. Dr. Carnes has a special interest in preventative care. She is a Board Certified Pediatrician and a member of the American Academy of Pediatrics. Dr. Carnes was born in Toledo, Ohio, grew up in Louisville, Kentucky and is a local graduate of Brentwood High School. She, her Husband and their young daughter recently moved to the surrounding area and are enjoying getting settled into the community. Outside of the office, Dr. Carnes enjoys baking, knitting, and spending time with her family and friends. Dr. Carnes is accepting new patients and looks forward to establishing long-term relationships with her patients and their families.